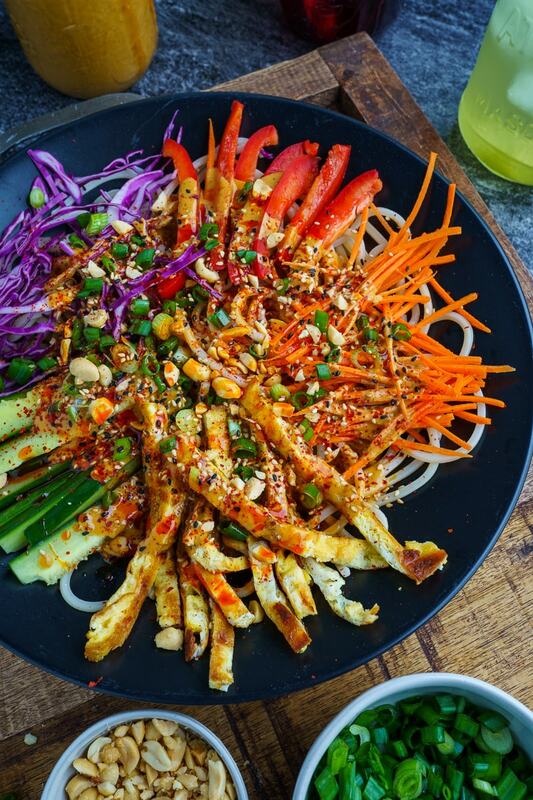 A cool noodle salad in a tasty and spicy sesame and peanut dressing! 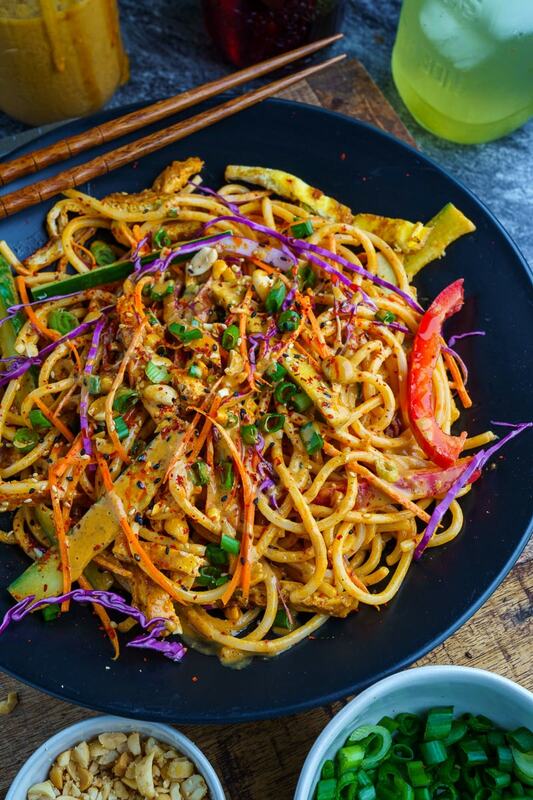 It’s been pretty hot lately and on hot days I often enjoy a nice cool meal like these cold sesame noodles! This is a noodle salad where the pasta is cooked like normal before being thrown into an ice water bath to chill out. 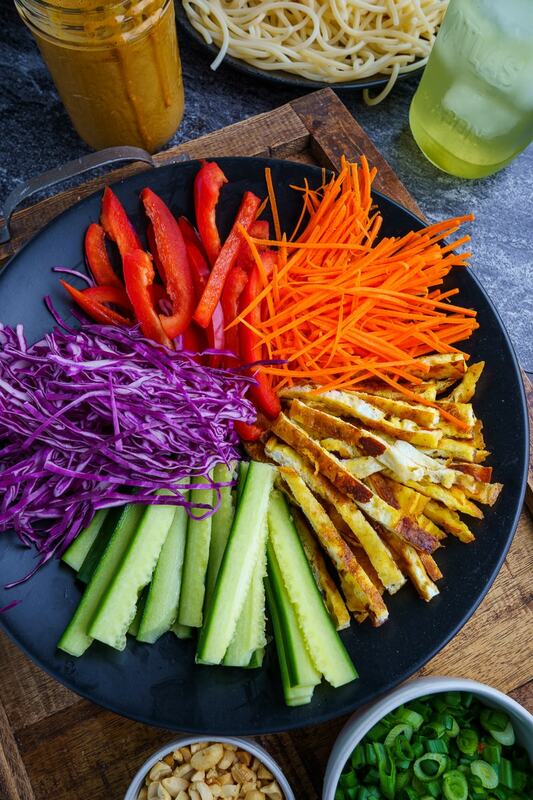 A bunch of bright, cool and crunchy vegetables like cucumbers, peppers, cabbage and carrots fill out the salad giving it a beautiful array of colours and textures. 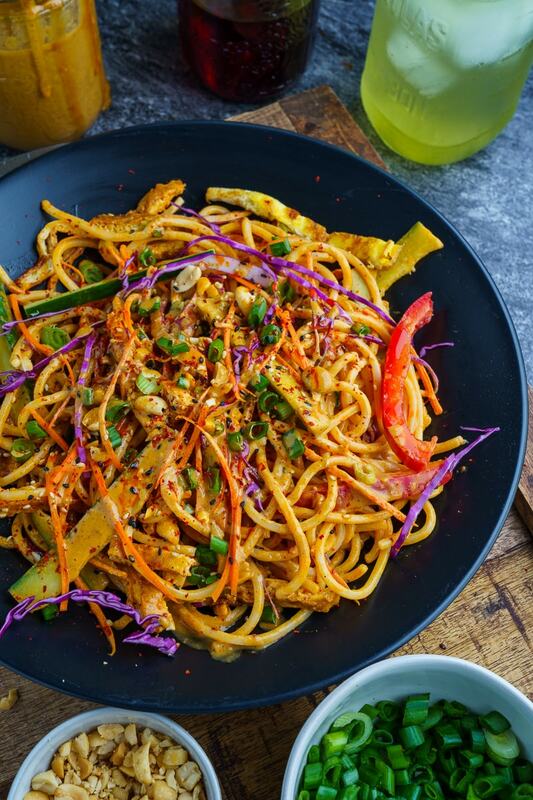 The star of the show is the tasty sesame and peanut dressing, and I find it difficult to resist anything with a tasty peanut sauce or dressing. I like to throw in a thinly sliced omelette to add some protean and a nice yellow colour, but this requires some extra cooking so you might want to omit it. The salad is finished off with some chopped peanuts and a drizzle of spicy chili oil! 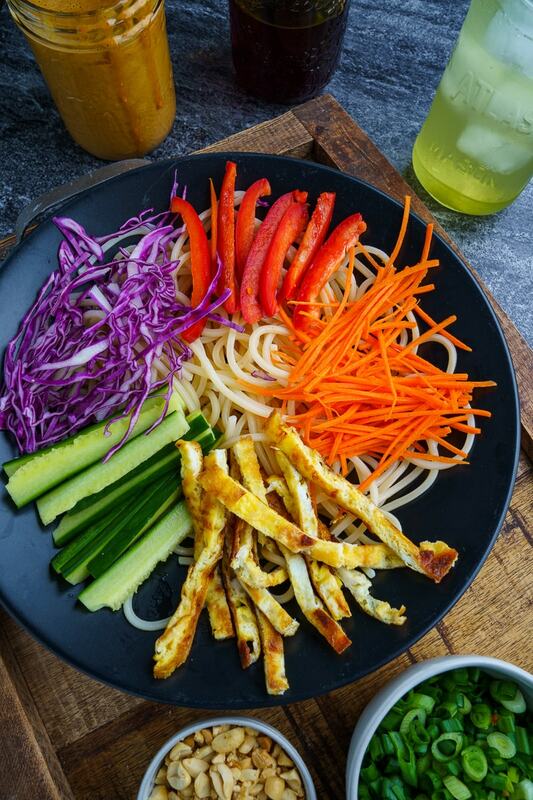 Everything in this salad is served cold so it is the perfect meal to beat the summer heat! Puree everything, adding enough water to get the desired consistency. Mix the egg, milk, and cheese, melt the butter in a small pan over medium heat add the mixture and cook until lightly golden brown, about 2 minutes, per side, before setting aside to cool and slice thinly. Cook the noodles as directed on the package, removing them from the heat a little (~1 minute) before instructed, drain and plunge into ice water to cool. This looks so incredibly amazing! I made this tonight as written, the only change was that I used some leftover grilled chicken in place of the omelette. Delicious! I’ll be making this again. Thank you!